It is never too early to begin preparations for overseas travel with your pets. Whether you brought your beloved pets with you to China or adopted your pets locally, we encourage pet owners to learn about exit requirements at the point of adoption and even before importing pets into China. Even for pet owners who are unsure of the final departure date or destination country, advance preparation can make all the difference for a smooth departure and being able to take your pets with you when the time comes to leave China. Every country has pet “import requirements” and preparation and planning may take anywhere from 3 months to 8 months or more to meet import requirements. Moreover, there are also pet “export requirements” for every country to allow a live animal to be taken out of the current country. It is not a guarantee that live animals will be permitted to leave the current country or to be allowed into the destination country. These decisions are made in line with the PRC Quarantine Bureau requirements to allow live animals to be exported from China (exiting China) and in line with the Agricultural or Quarantine Bureau requirements of the destination country to allow live animals to be imported. China allows one pet to be imported or exported per passport holder. If you have multiple pets, contact ICVS or a professional pet relocation agent (contact information below) for information on how to legally take your pets out of China. Please note that the Beijing Quarantine Bureau is now advising all departing pet owners to take their pets for the mandatory exit health examination at 7-10 days before the departure date. If you are taking pets to the EU, please take pets for the exit health examination at 7-10-days before departure date. The Quarantine Bureau is facing very high volumes with pet departures this summer and is also implementing a new computer system which is resulting in longer processing times for the exit permits. Please contact ICVS immediately for new Quarantine Bureau export and vaccination requirements if your pet resides outside of Beijing but will be undergoing the mandatory international exit health examination at the Beijing Quarantine Bureau at 7-10 days before departure. Please keep in mind that you will need to prepare for two sets of processes when moving to another country with your pets. The first is clearing the exit or “export” process for the PRC, which is easy and straightforward and can be summarized in the three steps below. The second process is fulfilling the entry or “import” requirements for the country to which your pets are relocating. This may be more involved, depending on the destination country, and best managed by preparing well in advance of your departure date, usually 6-months or more if heading to countries within the European Union and 8-months or more for strict quarantine control destinations such as Japan, Singapore, Australia, New Zealand, Hawaii and Taiwan. Entry requirements for each country will vary so pet owners are recommended to check with the embassy or department of agriculture or quarantine bureau of the country to which pets are relocating for accurate guidelines on vaccination and other requirements. 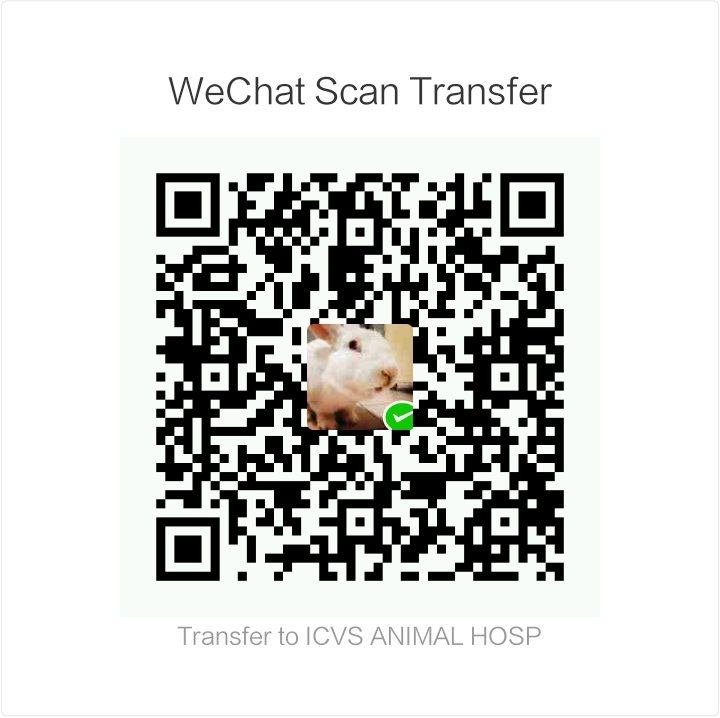 Pet owners are always welcome to contact ICVS as we help more than 2,000 families in China each year to prepare pets for relocation to more than 180 countries worldwide. Animals departing China must be rabies vaccinated at an officially designated animal rabies vaccination hospital in the PRC and must have the official “PRC (Beijing) Animal Health and Immunity Certificate” (e.g., vaccination red book) with the stamp/chop of the issuing hospital. Owners are recommended to keep good records of the pet’s local vaccinations upon adoption or arrival in Beijing. By law, all dogs must be rabies vaccinated annually in the PRC. Cats should also receive annual rabies vaccinations. China does not recognize the 2- or 3-year rabies vaccines from other countries so pets are required to be vaccinated annually. ICVS is an officially designated animal rabies vaccination hospital in the PRC and can provide legal rabies, distemper and all other vaccinations for all pets and issue the official Animal Health and Immunity Certificate (e.g., vaccination red book) required for pet export. After your pets have completed rabies and all other vaccinations and have obtained the official “vaccination red books,” pet owners may take their pets for the official exit health examination at the designated government Quarantine Bureau animal hospital 7-10 days prior to the animal’s departure date from China. Pets will undergo a brief physical examination that will include mandatory blood tests and stool checks. Once completed, you will be issued a “Beijing International Companion Animal Health Inspection Certificate” (Official Health Certificate), which is required to then obtain the official “Animal Exit Permit” from the Entry-Exit Inspection and Quarantine Bureau. Fees will be charged for the examination and the tests. Owners should bring the pet, the vaccination red book, passport or photocopy (one passport per pet), rabies antibody titre test report (for EU and other countries that require the test) and cash (e.g., RMB 1200.00+ per pet) at the time of the visit. Kindly note that in November 2011, the Quarantine Bureau's animal hospitals that perform the official exit health examinations began scanning all animals for microchips at the time of the exit health exam. Many countries require microchips for pet import. The microchips required are the European Union ISO 11784 /11785 standard microchips. Please note that this microchip requirement is NOT a national or Beijing municipal government or an Entry/Exit Quarantine and Inspection Bureau requirement. Requirements are set by the officially designated Quarantine Bureau animal hospitals who are authorized to perform the official exit health examinations for pets exiting China (e.g., Guan Shang animal hospital in Beijing and Shenpu animal hospital in Shanghai). ICVS can help microchip all pets and has universal microchip scanners to ensure microchip readability of already microchipped pets. The PRC Quarantine Bureau is responsible for the export of all live animals, including livestock for food production, so the overarching principle is that all live animals for export, including dogs and cats, are relatively healthy, vaccinated in line with PRC and destination country requirements, free of infectious diseases, free of internal and external parasites, and free of contagious skin infections. In addition to checking for microchips and annually required rabies, distemper and other vaccines for dogs and cats, the Quarantine Bureau animal hospitals will perform blood tests to check for systemic infection, contagious viral diseases common among dogs and cats, stool tests to check for internal and microscopic parasites, blood test to check for heartworm antigen parasite in dogs, and physical examination of all pets to check overall health condition and for infectious skin diseases and external parasites. We strongly recommend all pet owners to bring their pets to ICVS for an annual wellness and pre-departure healthcare screening to ensure that pets are healthy, fully vaccinated, infection free and parasite free BEFORE taking pets to the Quarantine Bureau’s officially designated animal hospital for the mandatory exit health examination at 7-10 days before departure. Pets that have non-contagious and non-infectious diseases such as diabetes, renal disease, thyroid disease, heart disease, dental disease, non-transmissible skin diseases (e.g., demodex), tumors, and even cancers, are permitted to exit China. For most pets, the exit health examination at the Quarantine Bureau will be smooth and the pet will be approved for export. However, every year there are pets with previously unknown or undetected health conditions who are taken directly to the Quarantine Bureau animal hospital for the mandatory exit health examination and do not receive exit permits required for export. Pet export is not guaranteed and is a pet-by-pet decision made by the government veterinarians of the Quarantine Bureau at the time of the official exit health examination. When taking pets for the mandatory exit health examination, please go early in the morning when the Quarantine Bureau’s Guan Shang animal hospital opens. Appointments are not accepted. 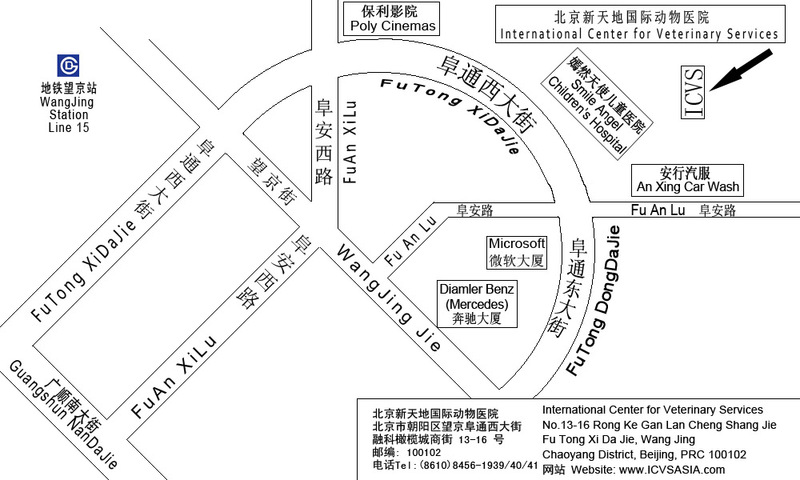 If you are not proficient in Mandarin, it may be helpful to use a professional pet relocation company that can help you take your pet door-to-door and manage the exit health examination process at the Quarantine Bureau (see below for recommended professional pet relocation agents). The health certificate is usually issued within 2-business days after the examination and is valid for 7-days from the issue date. If the health certificate is not taken to apply for an exit permit before the expiration date, the health examination must be repeated. Owners may present the exit health certificate to obtain the official “Animal Exit Permit.” The Entry-Exit Inspection and Quarantine Bureau has a satellite office on the second floor of the Quarantine Bureau’s animal hospital where owners may apply for the exit permit. Bring your “vaccination red book,” the exit health certificate and your passport (or passport photocopy). It is not necessary to bring your pet to apply for the exit permit. The exit permit fee is about RMB 200.00 and is now processed in 2-4 business days and is valid for 14-days once issued. Please confirm latest regulations with the Entry-Exit Inspection and Quarantine Bureau for exit requirements and exit permit validity periods. Government agencies may revise policies at any time without prior notice. Once you receive the exit permit, pet owners have 14-days to take pets overseas. Please note: Most airlines and countries have regulations that require pets to enter within 10-days of the issue date of the exit permit. Please check with your airline and the quarantine bureau of your destination country to confirm the maximum number of days you have to arrive on a valid exit permit. The Entry-Exit Inspection & Quarantine Bureau’s office hours are: Monday to Friday, 9:00AM to 11:30 AM and 1:30 PM to 4:30 PM (Closed for ALL public and national holidays). Entry requirements for the importation of pets will vary country-by-country. A brief summary of entry requirements for popular destination countries is provided below for reference only. Regulations are subject to change without notice. Please research entry requirements as early as possible and contact the department of agriculture or quarantine bureau of your destination country for latest regulations. 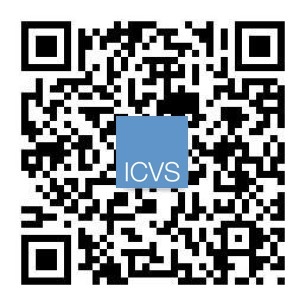 Pet owners are welcome to contact ICVS with any questions or concerns. Register your pet’s microchip in USA/Canada into the national databases of these countries to help find your pet if he/she is ever lost and to prove legal ownership. EU recognizes the RATT to be valid for the life of the pet provided the pet is rabies vaccinated annually before the expiration date of the last rabies vaccine. Therefore, pet owners heading to the EU should consider performing the RATT BEFORE the year of departure in the event travel plans change and owners must leave China with pets earlier than anticipated. Mandatory 10-days quarantine in Australia after arrival. Mandatory 30-day quarantine in Singapore upon arrival. Import permit required for Indonesia. Additional quarantine period (3-4 weeks) in New Zealand and Taiwan after arrival. In November 2011, the Quarantine Bureau animal hospitals that performs the government authorized exit health examinations, began scanning all animals for microchips at the time of the exit health exam. Many countries require microchips for pet import. The microchips required are the European Union ISO 11784 /11785 or other compliant models. Please note that this microchip requirement is NOT an official Beijing Municipal government or an Entry/Exit Quarantine and Inspection Bureau requirement. Requirements are set by the officially designated Quarantine Bureau animal hospitals who are authorized to perform the official exit health examinations for pets exiting China (e.g., Guan Shang animal hospital in Beijing and Shenpu animal hospital in Shanghai). ICVS carries the EU ISO 11784/11785 microchips that are manufactured in Germany. These microchips are the offical standard worldwide and are acceptable for all countries. ICVS can help to microchip all pets and has universal microchip scanners to ensure microchip readability of already microchipped pets. The microchipping requirement for export from China is not uniformly required throughout the country. However, this is expected to change in the near furture as the Quarantine Bureau will require all pets entering into China to be microchipped as of May 1, 2019. National requirements for pet export may also be revised to include mandatory microchipping. Please check with the local Entry/Exit Quarantine and Inspection Bureau of your province if you are departing China from a city other than Beijing. Please note that microchipping is required by Hong Kong, Taiwan, Macau, Singapore, Malaysia, Thailand, Indonesia, Japan, South Korea, Australia/New Zealand, European Union countries, African nations, Russia, Ukraine, Serbia, UAE and many more countries and territories. Canada and the United States (excluding Hawaii) do not require pets to be microchipped for entry, however microchipping is still strongly recommended to identify lost pets and to prove ownership. To import pets into Hawaii, please check the USDA or CDC web sites for import requirements and contact ICVS as soon as possible as regulations for Hawaii differ significantly than for that of the continental USA. ICVS veterinarians can insert the EU ISO 11784/11785, German manufactured microchips for all pets. ICVS can also help scan already microchipped pets with our universal microchip scanners to ensure chip readability. Please contact ICVS for more information about microchipping. The European Union countries, United Kingdom, Japan, Singapore, South Korea, Indonesia, Taiwan, Macau, Australia, New Zealand, UAE, Israel, Hawaii, and many others require rabies antibody titre testing for pets entering these countries/territories. The United States (excluding Hawaii) and Canada do not require rabies antibody titre testing for pets at this time. Countries/territories requiring the rabies antibody titre test usually stipulate that the pet be vaccinated for rabies at least 4- to 7-months prior to departure. One month (30-days) after the rabies vaccination, the pet’s blood needs to be drawn and the serum sample must be submitted to an official EU OIE authorized laboratory to perform the rabies antibody titre test. EU countries require that the blood sample must be drawn at least 90-days or more before the pet’s arrival date in the EU. Pets must be microchipped on or before the rabies vaccination date. EU countries and Japan will not recognize the rabies vaccinations of any pet whose rabies vaccine was administered before the date of the microchip insertion. ICVS can help owners complete the rabies antibody titre test with officially authorized EU OIE laboratories. Please contact ICVS for more information about the official EU OIE rabies antibody titre test. There is no quarantine requirement for pets exiting from China. There may be quarantine requirements for your destination country. Please check with the agricultural bureau or quarantine bureau of your destination country for quarantine requirements. There is no licensing registration requirement for pets departing from Beijing. The dog registration requirement for Beijing Municipality is specifically required for dogs who reside in Beijing. A dog registration license is not required to export dogs. 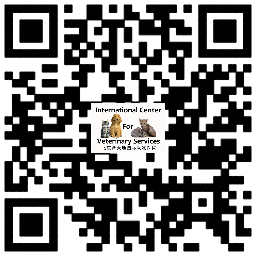 Please contact the International Center for Veterinary Services (ICVS) for any questions about departing from China with your pets. ICVS provides free pet import and export counseling services for the community to ensure that all members of the family may arrive and depart China together! 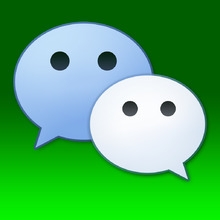 Please check our web site (www.ICVSASIA.com) for upcoming free "Departing from China with Pets" information sessions and subscribe to ICVS official WeChat (ICVSCHINA) for announcements. ICVS clients receive unlimited, complimentary import and export counseling from our pet relocation experts. Our mission is to help pet owners keep the whole family and pets together when it is time to depart! Please Note: This information is provided as reference only. Pet owners must contact the embassies, agricultural bureaus or quarantine bureaus of the countries to which pets are relocating for latest regulations. Regulations and quarantine requirements may change at any time. ICVS is not responsible for any differences in regulations from information provided in this document.